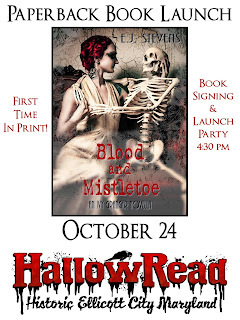 BREAKING NEWS: Blood and Mistletoe Paperback Book Launch October 24th at Hallowread in haunted Ellicott City, Maryland! In response to tremendous reader request, BLOOD AND MISTLETOE will be available in Trade Paperback (first time in print!) 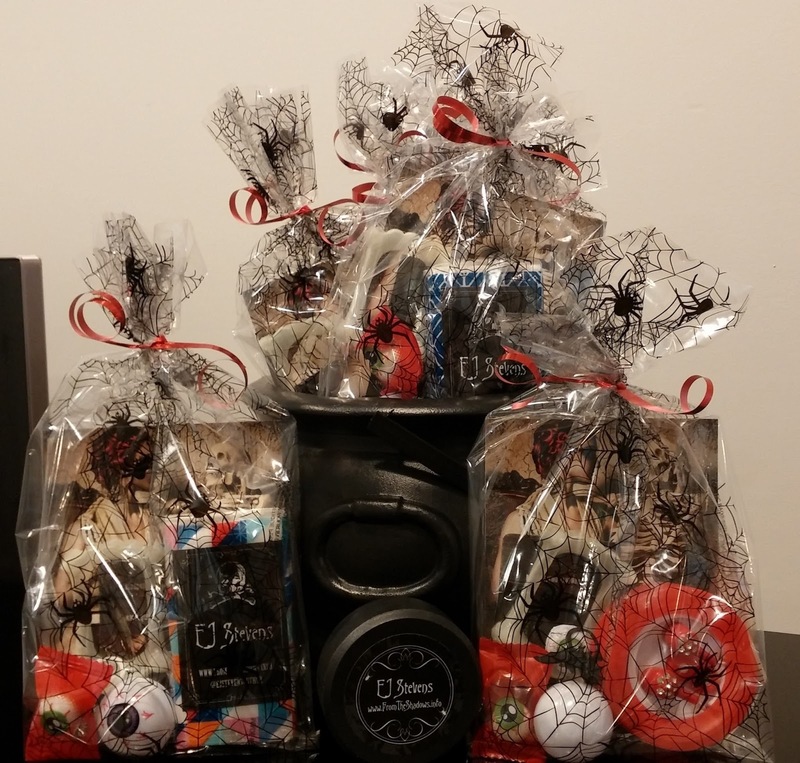 for $7.99 and a special book festival price of $5.00 for Hallowreaders! I will also be signing Blood and Mistletoe postcards and giving away free Dropcards with sample chapters from Blood and Mistletoe as well as other audiobooks in the Ivy Granger urban fantasy series. All IVY GRANGER and HUNTERS' GUILD novels retail for $14.99, but these books will be available at a special book festival price of $10.00 each. PLUS, spend $15 or more at my table during the book signing and book launch party October 24th and receive a free gift. 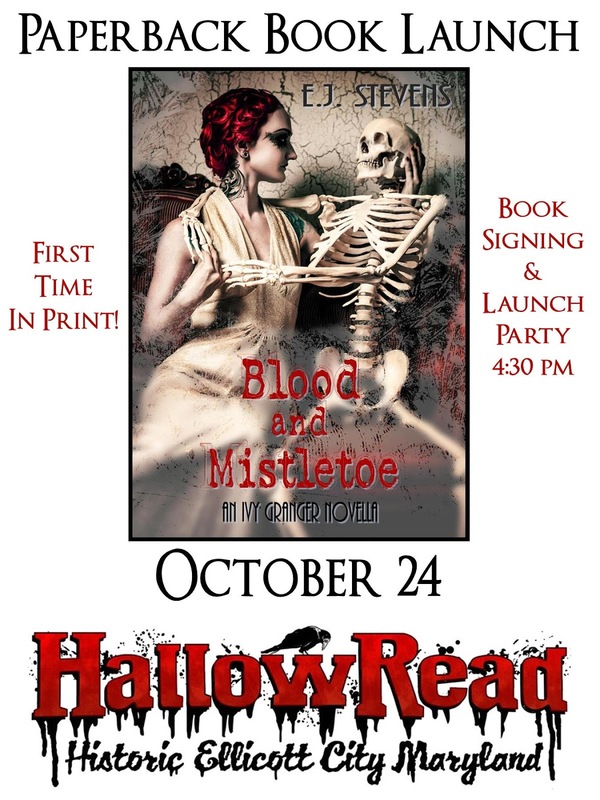 You don't want to miss this book launch at Hallowread in historic haunted Ellicott City, Maryland happening at 4:30pm October 24, 2015. I'll also be at the Author Breakfast, on the Paranormal Romance Guild panel, Holding Court (faeries) panel, Shifting Gears (shifters) panel, Don't Know How You Do That Voodoo That you Do (magic) panel, ghost tours, haunted house, and more! A huge thank you to everyone who came out for the Blood and Mistletoe paperback book launch!